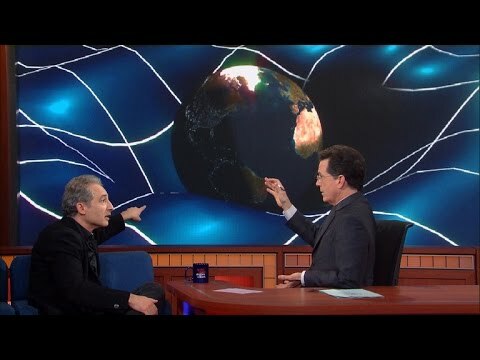 Theoretical physicist Brian Greene makes an appearance on The Late Show with Stephen Colbert, where the two banter about the historic discovery of gravitational waves on September 14, 2015. Turns out, Greene only needs eight minutes to give a crash course lesson on gravitational waves and Albert Einstein’s 100-year-old theory, all in layman’s terms. As Greene explains, gravitational waves are essentially ripples in the fabric of space-time. By using laser models, he expands on this definition to show how the twin LIGO detectors independently found evidence for gravitational waves from two merging black holes more than a billion light-years away.